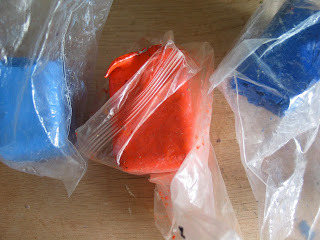 This is what my encaustic paint looks like before it is heated up. To make paint, pigment is combined with beeswax as well as a little damar resin which gives it a higher melting point. It also makes it less likely to be scratched. They smell like honey!